Watch the Video: Watch all the videos from the section on Stress and Relaxation including lectures, meditation and a small group discussion. As part of an experiment, you are asked to give an impromptu five-minute speech about your personal weaknesses. You stand in front of a video camera, bright lights, and two ‘observers’ who have been instructed to snicker, shake their heads disapprovingly, and whisper to one another throughout your presentation. At the conclusion of your humiliating speech, you are asked to do a math test. “Start with 996 and subtract 7, say the answer, subtract 7 again, and keep going – as fast as possible.” Regardless of how well you do, the observers prod you to go faster, chirp in comments like “you’re not very good at math, are you?”, and generally mock your efforts. You’ve just suffered through the “social stress test”, a standardized procedure scientists use to provoke a stress reaction. Typically, you would break out into a sweat, feel your heart pounding in your chest, and feel shaky, agitated or flustered – the same way you typically do when you’re feeling stressed. Through this type of experiment psychologists are proving that our attitude and beliefs about stress actually influence our body’s reaction and how we can perform in stressful situations. In a Harvard University trial half the participants about to undergo the ‘social stress test’ were told that stress energizes the body and mind for action (Jamieson et al, 2011). The pounding heart would be interpreted as your preparing yourself to take action. The heavy breathing helps deliver oxygen to your brain, making you think more clearly. The meta-message given to soon-to-be participants is stress helps you rise to any challenge. Compared with the control group (who gave the same humiliating speech and math test) the participants who were taught to view their stress reaction as helpful actually felt much better. They experienced less stress and anxiety, and felt more confident in their efforts. Furthermore, the scientists could detect important differences in the constriction of their heart blood vessels. Typically the stress reaction causes the coronary vessels to constrict, a condition which predisposes the person to having an immediate heart attack. People who can reframe the symptoms of a stress reaction as helpful actually open up their coronary blood supply, a state also achieved when people feel joy and courage. This burgeoning scientific evidence also shows that how we perceive a stressful situation will actually change our performance. Another experiment was conducted on MBA business students going into a mock job interview for the job of their dreams (Abelson et al, 2014). All participants were told that it’s normal to feel stressed just prior to the interview. One group was told use the stress reaction as a cue to focus on how they were going to impress the interviewers by proving they were the best person for the job. The second group was asked to reflect on how the job was connected to their values. They were told to think about how getting this job would give them an opportunity to express their deepest values in the world. The videotapes of the interviews were shown to unbiased raters who didn’t know what each interviewee was told beforehand. Compared with the “prove you’re the best” group the MBA students who were told to put their anxiety into the context of meaning were rated as being more inspiring and uplifting, and judged to be better potential colleagues, and so more likely to be hired. In addition to the interview ratings, cortisol levels were measured on all participants at the end of each interview. Cortisol is one of the stress hormones that causes the blood sugars and fats to increase, decreases our ability to learn and remember, and generally causes inflammation and breakdown of the healthy tissue. Remarkably both experimental groups felt stress as they went through the interviews, but those that thought about meaning in the context of stress had much lower blood cortisol levels. Living life after hearing the words ‘you have cancer’ can lead to many stressful situations. We can acknowledge that feeling stressed is natural, it’s part of being human. In the attached chapter from our book we encourage people to learn how to recognize their own unique stress reaction, and then settle down their body’s reaction as best they can. From this more relaxed state it’s easier to act in a wise and compassionate way. And when we reframe that the stress system is our body’s natural way of giving us energy to rise to the challenge, and when we can remember we can bring our highest values like wisdom and love right into our day to day actions we will be lighting the way for ourselves and others. Learn more by watching a Youtube talk “How to make stress your friend” by Professor Kelly McGonical. Dr. 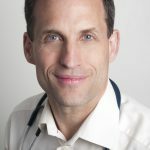 Rob Rutledge is a Radiation Oncologist in Halifax, Nova Scotia, specializing in breast, prostate and pediatric cancers. He is also an Associate Professor in the Faculty of Medicine at Dalhousie University. In 1999, Rob co-created the ‘Skills for Healing’ Cancer Weekend Retreats. These weekend support groups teach a powerful and integrated approach to the cancer diagnosis and ways to heal at levels of body, mind and spirit. To date, more than 1,600 people have attended the retreats in over 20 cities across Canada and abroad. 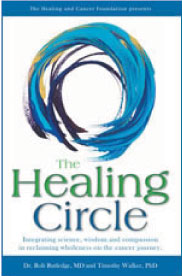 Rob also leads the Healing and Cancer Foundation, a Registered Charity, that freely offers educational videos, documentaries, and webcasting seminars – and he is co-author of a book called The Healing Circle, which captures the teachings and inspirational stories from the weekend retreats. In 2010, Rob received Cancer Care Nova Scotia’s Award for Excellence in Patient Care and, in 2006 Doctors Nova Scotia presented him with the Health Promotion Award in recognition of his contribution to physician health and health promotion in cancer patients.